With four seasons this New England state of Maryland has several small towns which we consider the best to live or retire in. Here is our list of the best small towns includes these in Maryland. With four seasons this New England state of Maryland has several small towns which we consider the best to live or retire in. Here are three towns from our list of the best small towns in Maryland. Located along Maryland’s eastern coast, Easton has approximately 10,000 residents and is know for its excellent health care system and its cultural activities including a historic theater and art venues. Easton offers four seasons and a variety of outdoor activities. The Chesapeake River offers a nice location for sailing, fishing or boating and the town presents seven scenic golf courses that are noted throughout the region as some of the best holes in New England. 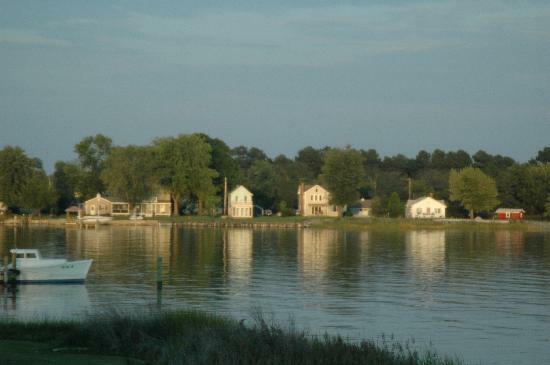 The Eastern shore offers retirement and 2nd homes as well. Chesapeake Active Adult Living Community, a Del Webb 55 Plus community is located in Easton MD and should be checked out if you are 55+. Easy commute to Washington DC, Baltimore and Annapolis from the Eastern Shore. The town of Crofton was originally a gated community that surrounds a large scenic loop that encompasses two elementary schools, a country club and a town hall. One year Crofton was named one of the 100 Best Places to Live in the US. The Crofton Parkway is designed for bicyclists and joggers who long for outdoor exercise and fresh air offered in Crofton. The area is a safe community with an exceptionally low crime rate. Crofton is only thirty minutes away from Baltimore MD which makes it a desirable place for city dwellers wishing to slow down a bit. Crofton’s population is about 28,000. Another desirable small towns along Maryland’s eastern shore lies the picturesque town of Tilghman Island, the so-called Pearl of the Chesapeake Bay. The area is considered to be unspoiled and a place where one goes to unwind and relax. 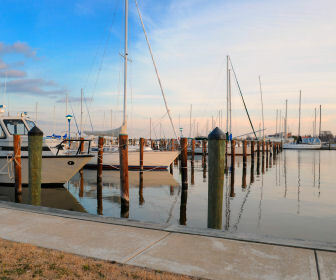 The town is filled with quaint spots for shopping and dining, City walk sightseeing, the Tilghman Watermen’s Museum and is a working watermen’s village with excellent fishing, an excellent retirement activity. Take a visit to Tilghman Island for a peaceful getaway to check it out. See our page for the top 7 best smalls towns in Maryland for more towns to consider. Also check out our Maryland Retirement Communities to see 55+ communities in Maryland.